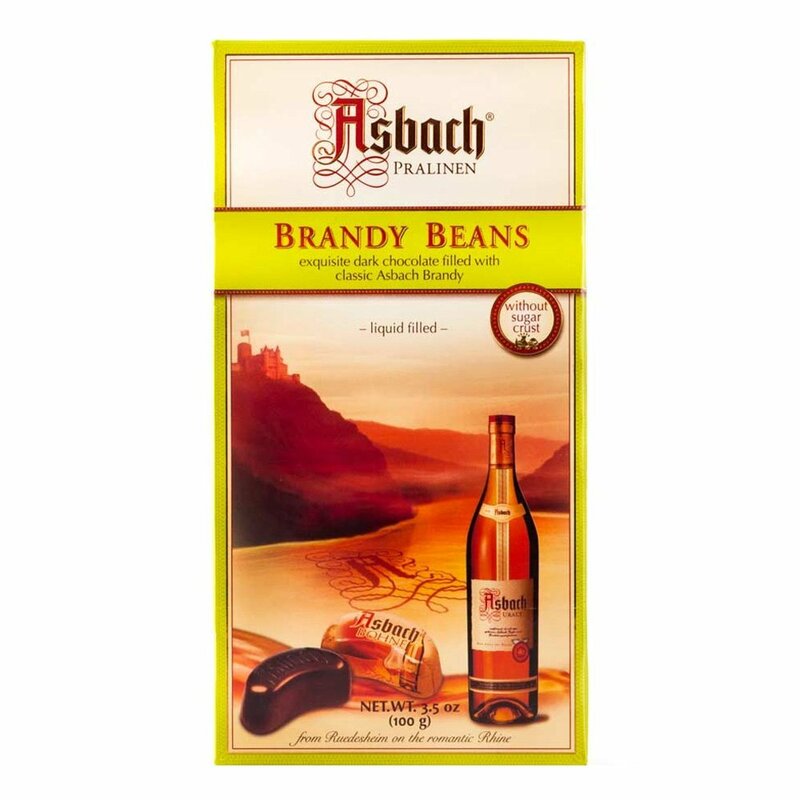 The well-known brandy experts at Asbach Uralt have been creating decedent chocolate-brandy treats for well over 100 years. 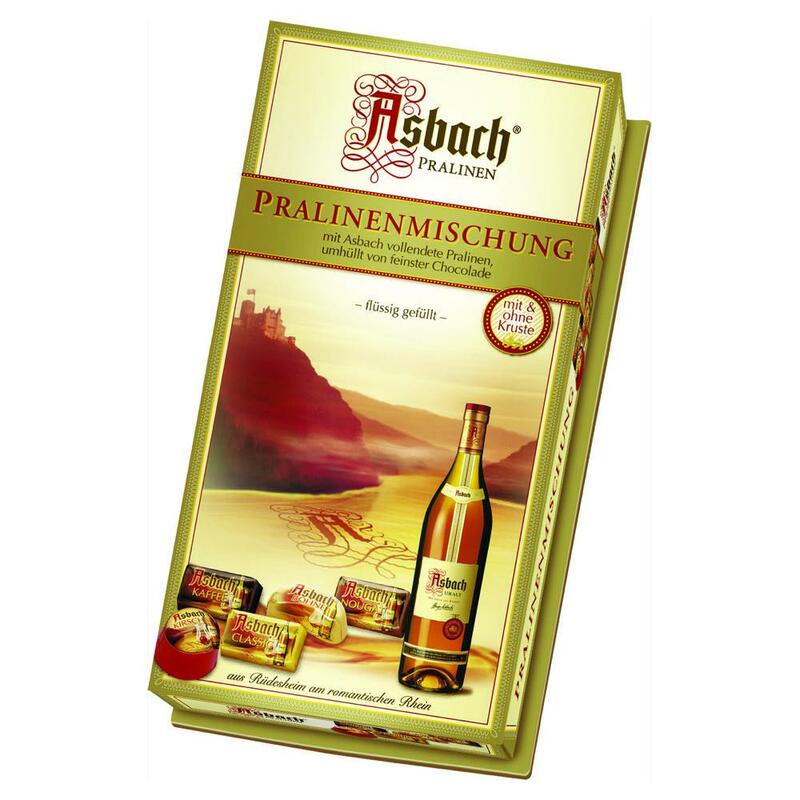 Recently introduced to their line of spirits and chocolates comes the Asbach Edle Kirschen, a delicious brandy-infused chocolate creation with a truly unique taste. 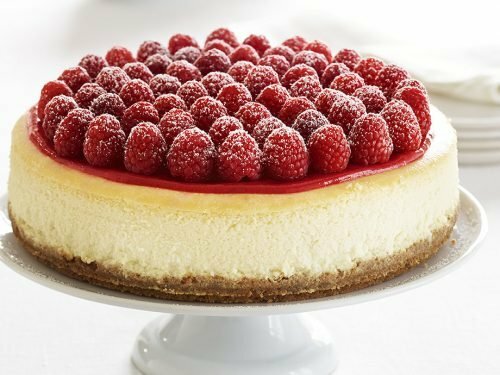 These chocolate-brandy cherries provide chocolate lovers with a explosion of flavors meant to be savored. 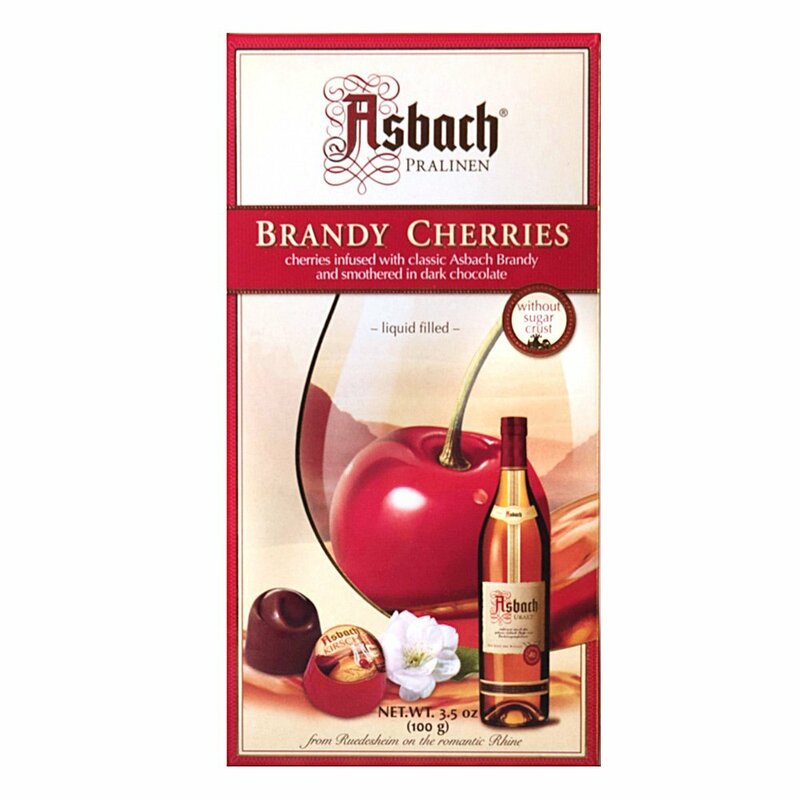 With its combination of luscious red cherry, signature Ansbach brandy, and decedent dark chocolate, the Asbach Edle Kirschen is the ultimate chocolate creation for those looking for something a little extra in their chocolate treats. 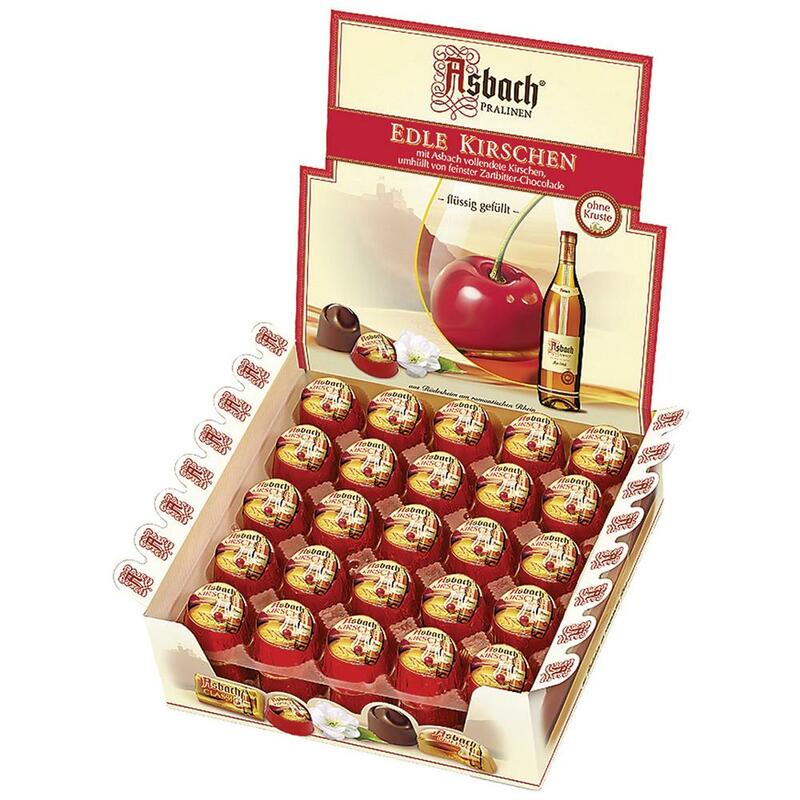 Wonderfully packaged in a box of 50 chocolate morsles, the Asbach Edle Kirschen can be purchased as anything from an exquisite snack to a superb gift. 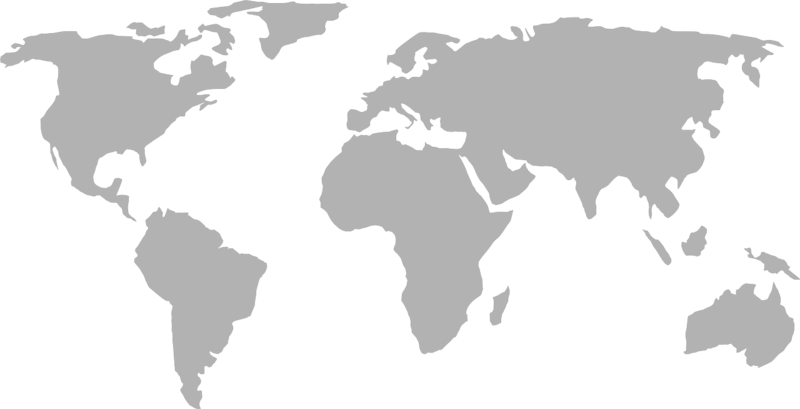 Here at World Wide Chocolate, we are proud to be one of the internet’s few suppliers of the Asbach Edle Kirschen. 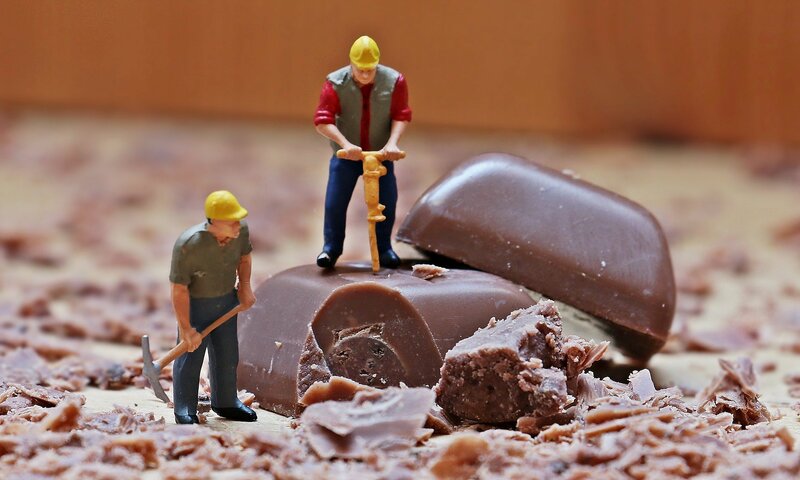 Order your 50-piece box from our trusted supply team and start indulging today!